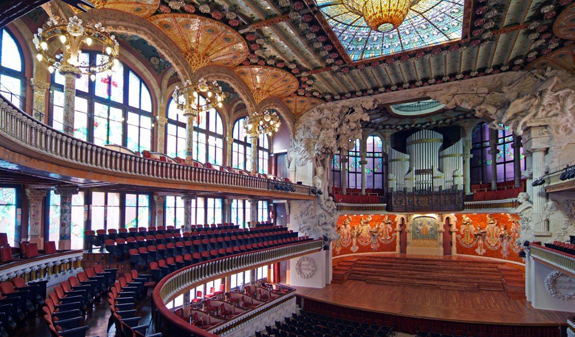 We invite you discover the Palau de la Música Catalana, the only concert hall in the world to be declared a UNESCO World Heritage Site. 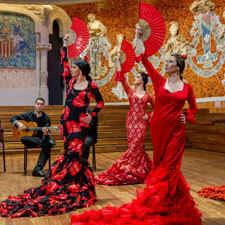 It was designed by the architect Domènech i Montaner as the home of the Orfeó Català choir. 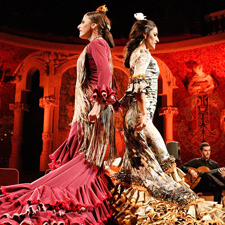 Funded by public donations, the Palau is one of the most iconic examples of Catalonia's architectural and musical heritage. 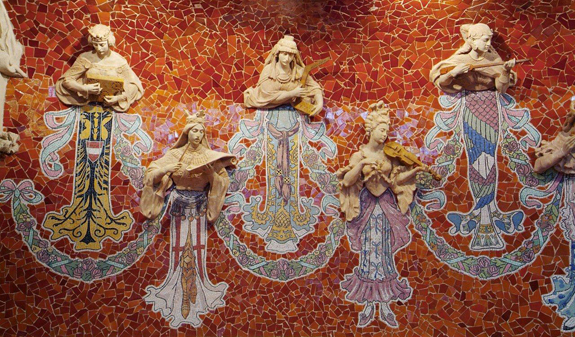 Tucked away among the narrow streets in the northern end of the Ribera district, you'll find a unique modernista building, the Palau de la Música Catalana, which combines sculpture, mosaic, stained glass and wrought iron on its magnificent façade. 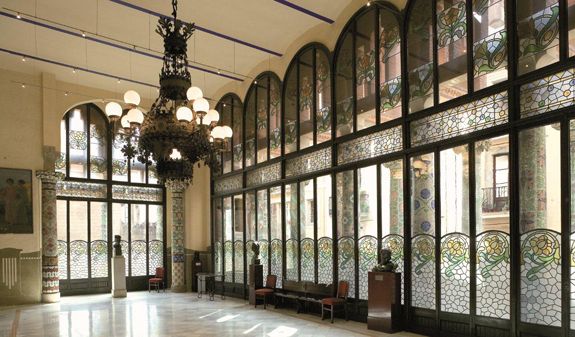 You can enter the building through the entrance adjacent to the foyer, a new area which provides a meeting place and is open to the public every day, or through the lobby which is flanked by two lamps characteristic of the Barcelona of the period, and is the former main entrance. 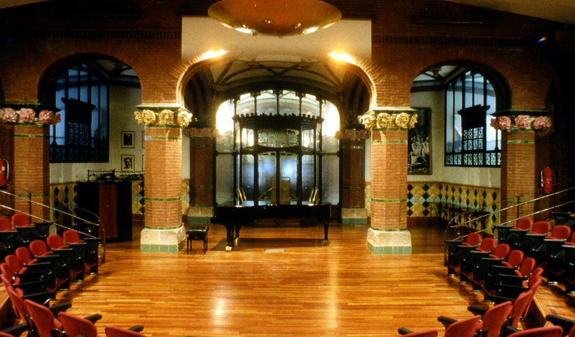 In the Orfeó Català's modernista rehearsal room, you'll be able to watch a 15-minute audiovisual about the history of the Palau de la Música Catalana and society in the early 20th century. The main part of the building is the concert hall, with its harmonious proportions, sumptuous décor and vast central skylight which fills the space with light. You'll have the unique opportunity to walk on the stage and see the auditorium through the eyes of the performers. 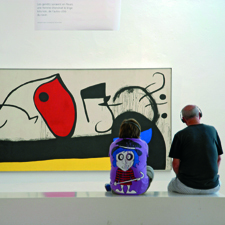 To end your tour, you'll visit the Sala Lluís Millet, which is named after the founder of the Orfeó Català. Its huge stained glass window reveals the row of columns on the balcony of the façade. Tour of the different areas inside the Palau de la Música Catalana. 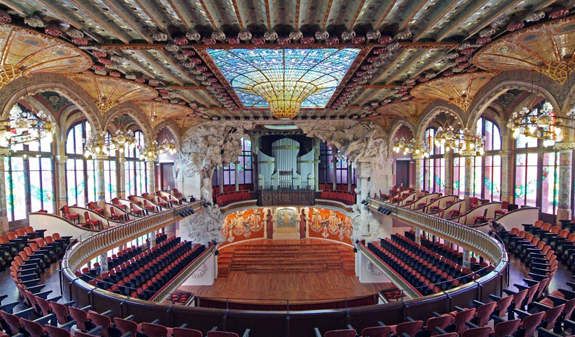 Tour of the different areas inside the Palau de la Música Catalana + 20-minute organ concert or similar. Language: English, Catalan, Spanish, French and Russian. 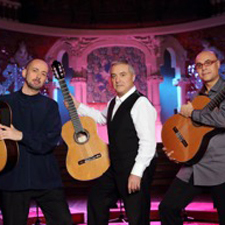 Meeting point: c/ Palau de la Música 4-6, Barcelona. Metro L1 and L4, Urquinaona station. Bus 17, 45 and V17. Please arrive 5 minutes before the tour commences. Reduced admission for students available at the ticket office. Free entrance under 10 yeras old. Facilities for the visually impaired. Wheelchair accessible.